There has never been a time in history where information has been so freely available for people. Every single person reading this article now has the ability to research anything they want about anything to do with nutrition. 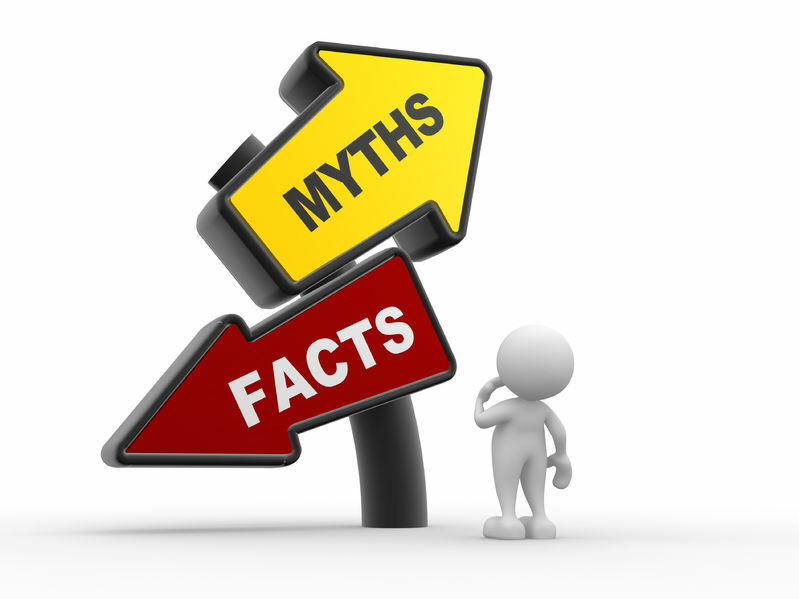 The problem is that for every single fact available online, there are around five myths (completely made up fact alert). Part of the problem is that there is a lot of confusion and debate among fitness experts, another part of the problem is that a lot of fitness writers and trainers are not qualified to give the correct advice. The final part of the problem is that there are a lot of people who make good money purposefully misdirecting the public. As a result of this many people are completely clueless as to what’s right or wrong when it comes to nutrition. 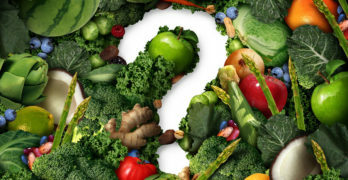 This article will hopefully dispel four of the most common (and irritating) nutrition myths, using science and logic. The theory works like this, carbohydrates are consumed for energy, but after 6 pm people tend to be more sedentary, so all of the calories from the carbohydrates will be converted into stored fat. By removing carbohydrates from your diet after 6 pm, you are preventing fat from accumulating. Whilst there is some truth to this, it completely misses the point. For fat loss, you need to be in a calorie deficit. This means that the amount of calories that you consume needs to be less than the amount of calories you burn (exercising, walking, doing the laundry, etc). So if you cut out 150 calories worth of carbohydrates from your diet, but maintained your activity levels, you would lose weight. Where the theory struggles is that: 1) Carbohydrates are no more responsible for fat gain than dietary fats or even protein. 2) Your body burns a lot of calories after 6 pm, in fact, your basal metabolic rate can even raise slightly whilst you sleep. Other things that can affect this? What if you work out in the evening? Or what if you’re very sedentary during the morning/afternoon? Now there is a caveat to this, whilst there is no scientific reason why you should restrict carbohydrates after 6 pm, that doesn’t mean that the idea is completely without merit. The majority of people who are overweight do consume too many carbohydrates, and a lot of them come from high-calorie foods (cookies, cakes, sweets, etc). These foods are usually eaten later on in the evening, so restricting your carbohydrates might be a simple solution for people who are struggling with fat-loss. Just so long as you understand that it is the high-calorie snacking that are causing weight gain, not the carbohydrates. Quick! Name a clean food. If 100 people were asked what their definition of clean food was, there then would be 100 unique responses. Maybe they might all agree that vegetables are classed as clean, but what about pre-prepared or frozen? Are they still clean? What if the vegetables have been canned? Or placed in a meal that has processed food in it? The thing is that the term “clean” was just made up a few years ago, and there is no such nutritional term for it. People just decided that certain foods were clean whilst others were unclean. It’s completely ridiculous. “I only eat clean, nothing processed,” they say, but then eat peanut butter, when you casually ask them what plant does peanut butter come from, they say “oh yeah but the ingredients are all natural, and it says organic on the side.” Well, the ingredients for all foods are natural. KFC bargain buckets are made up of natural ingredients, but that doesn’t make them healthy, or somehow superior. If you want to improve your health, and that means eating more vegetables and less high-calorie treats then excellent. That task can be achieved intuitively, we all know that a bag of chips isn’t going to help you lose weight. But getting to the point where you are stressing out about whether canned tuna is okay or not is a problem. Dieting should never be too restrictive, nor should it be too ambitious. If you are planning to cut out all of your favourite foods forever, then you are setting yourself up for failure. Even if you can do it, the results will not necessarily be any better than if you had followed a calorie-controlled diet that allowed you the occasional cheesecake or hot dog per week. This headline comes from a very famous diet and exercise book writer who has become insanely popular of late. He promises that you can eat more, move less, and lose more weight than you would using traditional dieting techniques. This sentence is very misleading. What he means is that you can eat a larger volume of low-calorie foods, but calorie-wise you would have to be consuming less. The idea that you could move less (or exercise less) but still lose weight is also misleading. It means that you could exercise less than you would during a traditional diet and exercise program, but not less than you already are. Because the truth is that most people don’t exercise enough. But it’s not just this one phrase, we are bombarded with thousands of similar slogans, making dieting and exercise sound easy. It is not, it can be simple, and with the right mindset long term and sustained fat loss is attainable, but it isn’t easy. Phrases like “Beach body in 10 days” or “Get shredded abs in 30 days” are not truthful, and the authors know this. Fitness marketing is incredibly effective because the marketers can promise you the earth, and if you don’t succeed, then they can say that YOU didn’t work hard enough. There has been a backlash against companies such as Herbalife who sell meal replacement shakes, and in truth, this has been a good thing. They without a doubt have one of the shadiest business plans ever, get members of the public to pretend to be nutritionists and personal trainers so that they can sell their shakes. Awful! But the idea that meal replacement shakes are terrible is wrong. Study , after study , after study , have consistently shown that meal replacement shakes can help obese and overweight people lose weight. They have been shown to be more effective than traditional diets, and have led to more long term success in keeping the weight off (the true test of any diet). Having more control over your diet, and simple rules to follow seems to work on people who have struggled with their nutrition in the past. The trick is not to use companies like Herbalife, but just stick to high protein shakes.